You can never really trust a ninja. And if that ninja happens to be from the Red Claw clan, you can trust them even less. And what's with all these portals opening up and yokai coming through? And Oni, too. What's with the oni? It would seem as though there's some heroes that are needed. Good thing they've just arrived. And they'll need to work together if they want to make the land safe once again for the inhabitants. That's the story behind Yokai Quest, a new cooperative miniatures board game that's up on Kickstarter. In the game, players will take on the mantle of various heroes, each with their own special abilities, skills, moves, and play styles. They'll have to work together to finish the objectives of the quest. What's their quest? Well, you have to pick that at the start of the game. 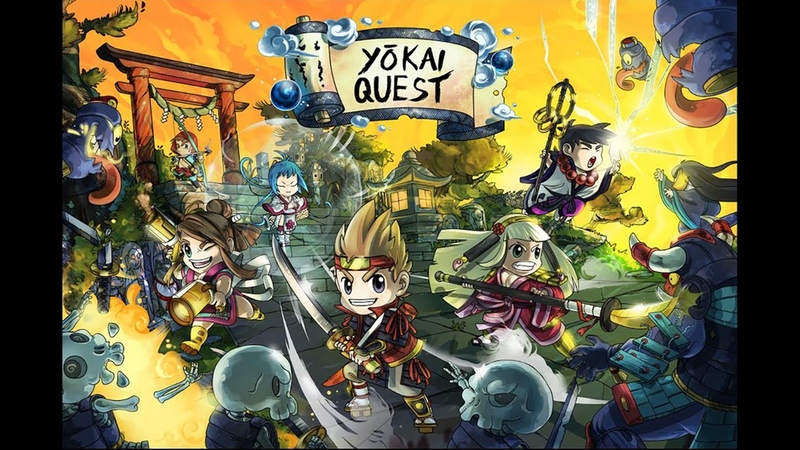 Yokai Quest is heavily scenario-driven, each one with a different map layout, objectives, and enemies that you will face. You can play the games as on-offs, or link them together to form a long campaign. The Kickstarter campaign is up and running now. It's already more than 2x funded with still 28 days left to go.